I’m going to let you all in on a little secret. I think my favorite thing about being a freelancer is that I have my entire kitchen at my disposal 24/7. I’m what we call in the foodie world, a ‘grazer’. I eat all the time, but I don’t usually eat that much. I’m also not so much of a breakfast, lunch and dinner type guy but rather I snack all day long. I’d like to run you guys through a few my favorite healthy snacks for at work (aka home). I love everything about this recipe. 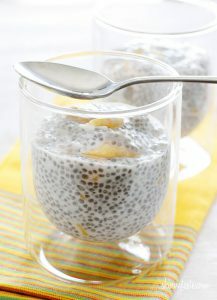 The protein from the chia seeds, the fiber from the mango and the probiotic in the yogurt, it’s hard to beat this for in the easy or health department. As for the sweetener, I would definitely stick with honey as I’m not a fan of stevia. If you could live without any sweetener that would probably be best actually. Making 6 small jars on Sunday, and you’ll have one for each day of the week. Easy, ready-made, and they’re the perfect healthy snacks for at work. As the name implies, this is basically just an apple with peanut butter on it. However, the combo of savory and sweet is much more satisfying than it should be. 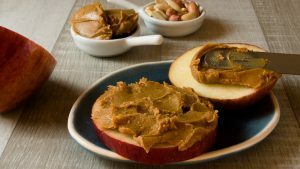 This combo works perfectly from the protein of the peanut butter to the fiber and sweetness of the apple. Easy, but oh-so-good! If you make a dozen or so they’ll be good for the whole week, and you can grab one or two whenever you feel like it some healthy snacks for at work. Heat your oven to about 450 degrees. Season dried chickpeas with olive oil, salt, garlic, cumin and a bit of cayenne for spice. Bake for 30-40 minutes or until browned and crunchy. These things are perfect for busy freelancers. Instead of candies or whatnot on your desk having a bowl of these will let you snack, guilt-free. Chickpeas are full of fiber and protein that will keep you full until you can take a real break. 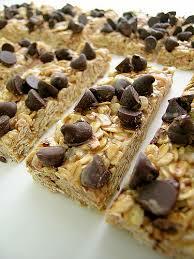 I love no-bake bars. They’re easy, fast and you can save them for weeks. Just throw the ingredients into a bowl. 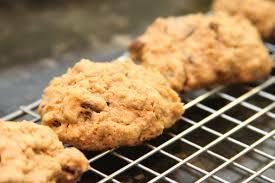 Put that mixture on a baking sheet and flatten with a spatula. Cut to your desired size and then toss them in the freezer or fridge for an hour to solidify. Great for on the go and or to have on hand between meals. This one’s a classic, but it turns out, also really healthy! 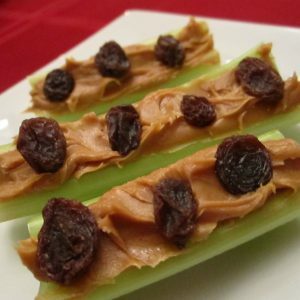 A piece of celery with peanut butter and raisins is all you’ll need. Your childhood memories will start flooding back in. There are many reasons I love trail mix and why they’re the go-to snack for people on the run. You can create many different combos of trails mix with nuts and dried fruits. 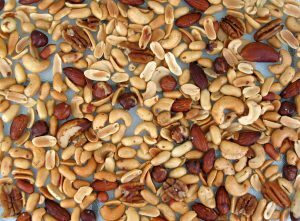 One of the easiest that I’ve found is simply peanuts and dried cranberries. Sweet, savory full of protein and fiber. Take a look at 21 Healthy trail mix recipes for more ideas. 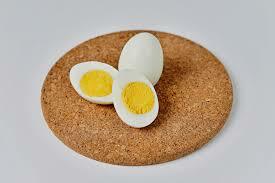 Eggs got a bad rap there for a while because they were said to increase cholesterol. As we’ve come to find out, there are two types of cholesterol and eggs have the good one. There is actually no recommended amount of eggs that you should limit yourself to. They’re packed full of B-vitamins and protein. Throw on a little bit of sea salt, and you’ve got a great, quick snack. 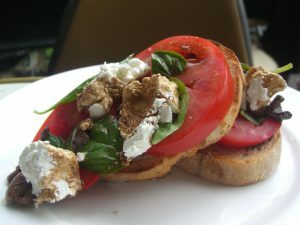 it and then top with feta and sliced tomato. It’ll bring the taste of the Mediterranean right to your kitchen. It’s really lovely and refreshing on a hot summers day as well. I love popcorn. However, mine is usually topped with melted butter and salt while I’m watching a movie. I obviously only do that occasionally. 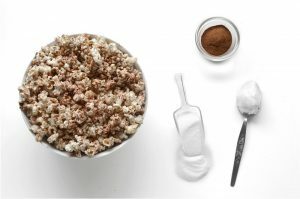 However, what I do love is popcorn topped with cinnamon. The cinnamon plays with the salt and makes for a tasty and healthy combo. So this one is a bit out there. Any fruit, no matter the size or color is good for you. Plain and simple. 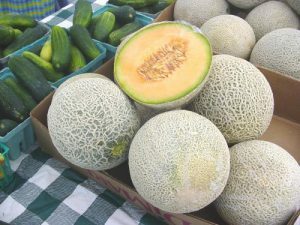 For example, 1/2 cantaloupe has about 93 calories. That’s less than those little 100 calories child sized bags of crackers people get. Cantaloupe, watermelon, melon, really all types of fruit are healthy snacks for at work. They’re packed full of fiber and vitamins and minerals that will keep you full until mealtime. This is one of my favorite snacks of all time. I’ve recently purchased myself an egg cooker because trying to get soft boiled eggs just right in boiled water caused too many sleepless nights. 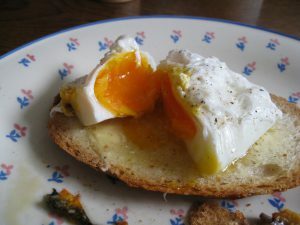 Put two soft boiled eggs on a piece of toast, let the yolk soak in for a minute or two, and you’ve not only got a healthy snack but ones that’s easy and tastes wonderful. I like the sound of that. 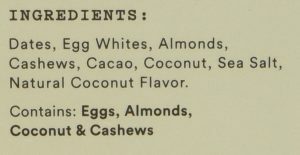 Here’s a shot of one of the ingredient lists off their coconut chocolate bar. There are only 8 ingredients, I can pronounce them, and I know what all of them are! That’s almost unheard of in the health bar industry. These are my go to if I know I’ll be out of the house for a long time, or I haven’t hit the store yet, and I’m looking for some healthy snacks for at work. If you guys are looking for some more great diet and foodie tips check out: Diet and Fat Loss – 10 Hassle-free Tips for Freelancers. It will definitely point you in the right direction. Do you guys have any go-to healthy snacks for at work that you couldn’t live without? I am so happy I came across this article! I can tell you put a lot of time into this article because there are so much content and detail! As a young bodybuilder, nutrition is super crtitical for my physique! 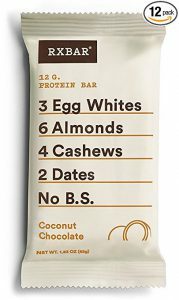 I already eat hard boil eggs, trail mix, but I will definitely try out cinnamon popcorn, peanut butter apples, and the no-bake protein bars! Do you prefer a specific type of popcorn to buy? Hope to read your response! Thank you so much! I’m glad you could get something useful from my article! As for my specific type of popcorn, I usually go with unsalted, unbuttered because I really have no idea what they put in there. Plain popcorn, with as few ingredients as possible, is the way I go and I add my own flavorings so I know exactly what I’m eating. Most of these snacks would be great for bodybuilding as well since most have the macronutrients your muscles need after a workout. Combining a few together probably wouldn’t be a bad idea either. I’m loving the cookie idea! so simple to make. I have a walnut allergy so I’m going to have to omit the walnuts, I’m going to try ground almonds instead. I’ll be back to let you know the results! I like the sound of the mango coconut chia yoghurt, but can’t find the directions! Please put these on as it looks delicious! 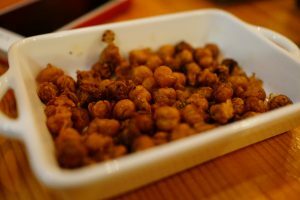 I know you say to use dried chickpeas for the chickpea snack, but they are so hard, are they easy to eat when they are cooked? I’m sure almonds would be a perfect substitute! You can find the directions for chia yogurt at this website. It’s the original that I used. I’m sorry if I confused you with the dried chickpeas. I meant to say that after you remove them from the jar, dry them with a paper towel! Not actually ‘dried chickpeas’! (I’ll make sure to edit that and make it more clear). Thank you for stopping by and let me know how they go! Hey! Love the article! What are your suggestions for someone living in a country in which most of these ingredients are either not available or too expensive? Say Korea for example. Can’t wait to hear your ideas! I appreciate you stopping by. Unfortunately, I’ve never been to Korea, so I’m not actually sure what they have available in their stores. However, I’m guessing that anything you pick up would be healthier than 75% of what you could find in US markets. Stick to under 4-5 ingredients (that aren’t sugar), and you’re most likely golden. I’m going to go out on a limb here, but I’m guessing for you, as for many of us, it’s not the snacks that are getting to you, but the booze. Maybe a bit too much soju or makgeolli. Hmm? If you’re really interested you could check out Kimchibytes Expat’s guide to eating healthy in Korea. It looks promising. Good luck! Miss you buddy and take care!